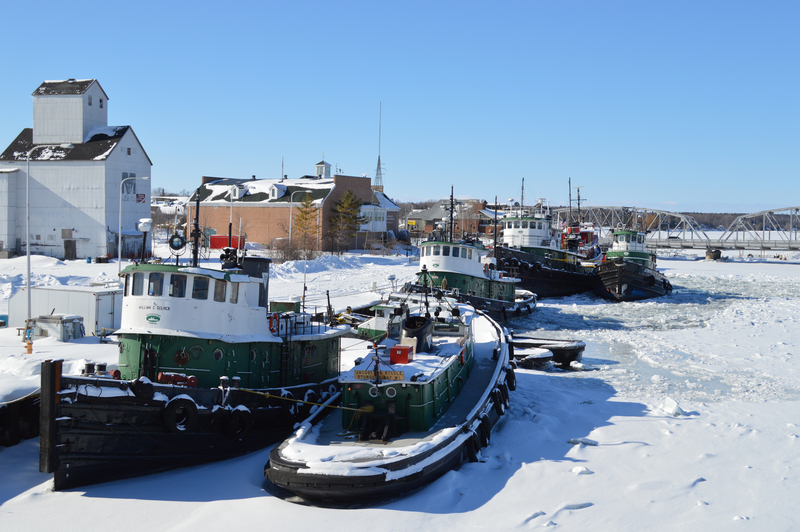 Preserve Our Working Tugboats and Historical Granary in the Heart of Sturgeon Bay! Your own personal focus on the West Side Waterfront will certainly help save the public land that lies below the Original High Water Mark on the west side of the Sturgeon Bay Ship Canal from private development. 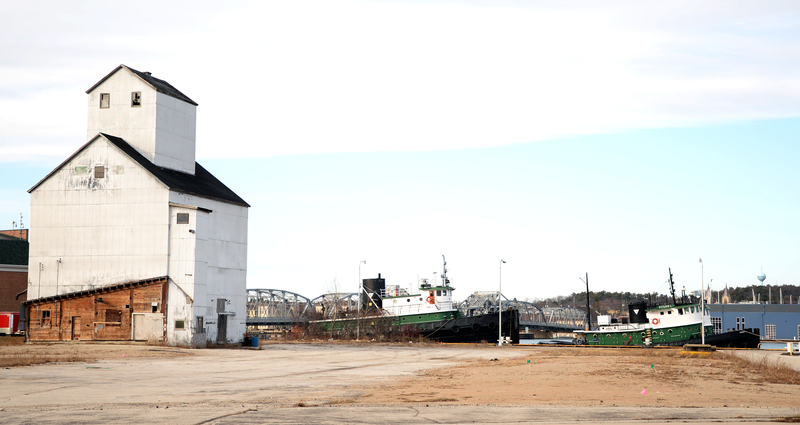 If the proposed Waterfront Redevelopment Plan that includes the sale of property and construction of a hotel is executed, the Selvick tugboats will no longer dock on the west side of the channel and the landmark granary will quite likely be razed. The Granary needs creative solutions and funding to attain a second life. 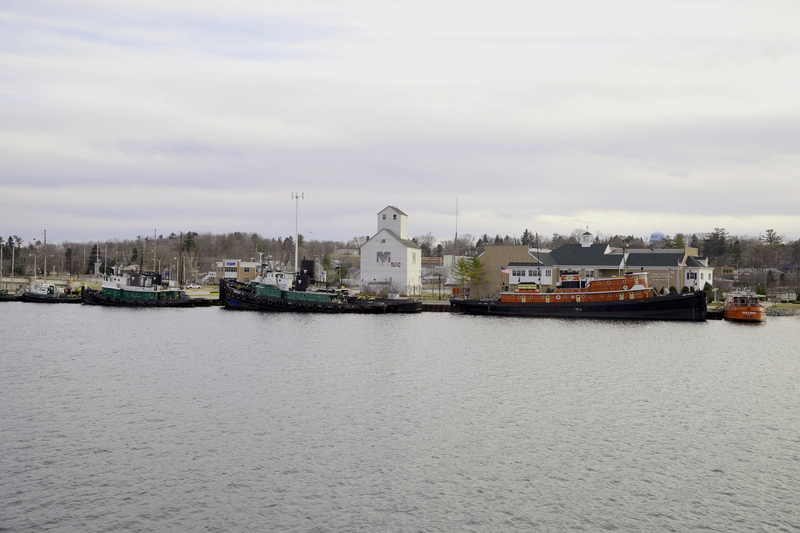 Another town, Bellingham, Washington is campaigning to save its granary. It’s amazing what you find when you Google the word “granary.” The battle in Bellingham started in 2012 when the Port Authority wanted to level the old granary for a redevelopment project but there, some of the City Council members fought against it. The city has experienced a very similar reaction to that of Sturgeon Bay’s citizens who came together to save their historic granary. Buttons, t-shirts, art exhibits a walk-through video… I am sure they might have all sorts of stuff available in Bellingham and the design is generically applicable. The view of the Sturgeon Bay Granary from the Old Steel Bridge in Sturgeon Bay. While walking through Sturgeon Bay on this crisp Spring Day, I decided to capture some pictures of parts which may cease to exist on the West Side.